CELEBRATING OUR 22ND YEAR SELLING TRAWLERS!!! 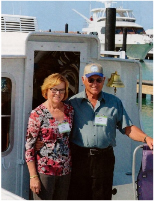 Ken & Karen Schuler are "at the helm" of Trawlers Midwest Inc., the exclusive dealer of the locally designed and built Eco-Trawler. Trawler boaters themselves, the Schulers have cruised the Great Loop and visited many ports on the Great Lakes, having crossed Lake Michigan over 80 times in many different sizes of trawlers and trawler catamarans. Some of their adventures can be found under Cruising Stories. They will speak candidly about their experiences and can be very helpful in your selection of the right trawler for you. They look forward to meeting you any time of the year. 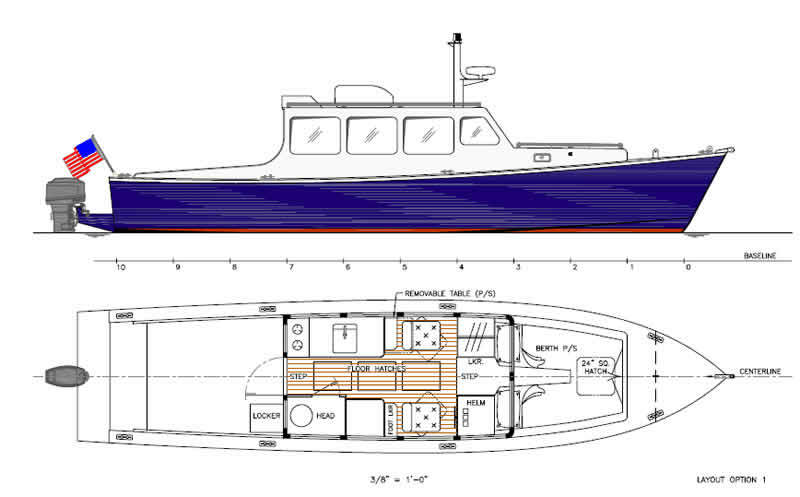 Currently the Eco-Trawlers are in inside storage and can be shown by appointment. Seatrials are available for serious buyers. The Schulers have cruised the Eco-Trawler on Lake Michigan from Manitowoc to Chicago for the Chicago In-Water Boat Show and spent the entire time living aboard in great comfort. They also cruised to the North Channel for a 10-day live-aboard adventure. The story and pictures of this trip can be found under the Cruising Stories tab. Another excursion included trailering the 33 Eco-Trawler to Maryland to exhibit the boat in the Baltimore Trawler Fest and the Annapolis Powerboat Show. They also did some cruising on the Chesapeake between shows and lived aboard the boat for the entire month. Trailering proved to be a great way to go as they used the boat as a camper staying at truck stops along the way. Another trailering adventure was to tow the Eco-Trawler across the state to cruise the Mississippi and St. Croix Rivers for a 5-day get-away. 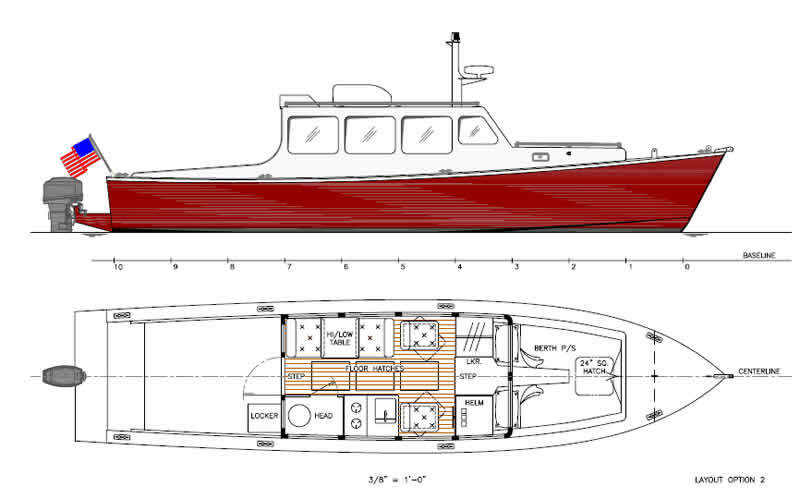 The versatility of the Eco-Trawler lends itself to many cruising options.